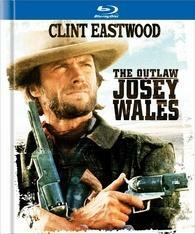 Overview - Josey Wales is a peacful farmer and devoted family man, until renegades murder his family, and destroy his farm. Fueld by hatred, he becomes an outlaw dedicated to seeking vengance on the people who took everything he had. When one thinks of movie westerns, a few names immediately pop into mind. John Ford, John Wayne, Sergio Leone, and last but certainly not least, Clint Eastwood. Responsible for essentially crafting an entire archetype of western anti-hero on screen, Eastwood also contributed a lot to reinventing and evolving the genre from behind the camera. His 1976 effort 'The Outlaw Josey Wales' is a perfect example of his directing skills, demonstrating the potential that would one day lead to his revisionist masterpiece 'Unforgiven'. After his family is brutally murdered, a peaceful farmer, Josey Wales (Clint Eastwood), takes up arms and joins a band of Confederate Guerrillas. When the war ends he refuses to surrender and becomes a wanted outlaw on the run from Union Soldiers and bounty hunters. From here we follow Wales as he encounters a variety of eccentric characters and tries to outsmart and outgun his pursuers. Based on a novel by Forrest Carter, the script is structurally simple but still strong, providing a fresh perspective on the western myth. The character of Wales himself is the real standout here. In many ways he's an extension of Eastwood's famous Man With No Name, exhibiting a similar rough persona of brooding cool. But in contrast, Josey Wales not only has a name, he has an infamous one, spoken with fear and terror from all those who dare utter it. Throughout much of the film it can be hard to get a true sense of the man. This is someone who has been stripped of everything that once defined him, and having nothing left but rage, he has fashioned himself into a gunslinger. He speaks very little, kills without hesitation, and even spits on dogs, but beneath this hardened exterior still lays the kind farmer we saw so very briefly in the opening sequence. At one point in the film a conflict arises between Wales and some Comanche Warriors, and while we get ready for a bloodbath, the film and the character instead take us in an altogether different direction, subverting our expectations for something much more interesting and powerful. It's these moments in which we see hints of the man Wales once was (and possibly can be again), that really help transform the character into something truly unique. Though we get the sense that Wales is a loner by nature, he seems to unwittingly attract a constant cavalry of fellow misfits and vagabonds. By the climax of the movie the man has essentially formed an entire family of outcasts, including two Native Americans, a beautiful young woman, her mother, some cattle, and of course, a poor spit covered dog. Each of these characters is brought to life wonderfully by a wide and diverse array of talent that includes Chief Dan George and Sondra Locke. Even the very minor personalities that Wales comes across are all given memorable and unique performances. 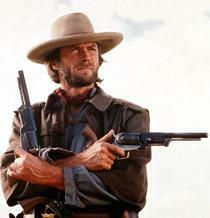 Eastwood himself is also strong, bringing his trademark collected fury to the title role. While some might not see much in the performance, there really is a lot to admire as the actor balances a thirst for vengeance with a surprising desire for life. There are many memorable lines of dialogue and Eastwood's delivery is perfectly effortless. As a director, he also elevates the material with a highly economical but still captivating style. The shootouts are exciting and the beautiful wide shots of lush wilderness pull the audience right into the mythic but still gritty world of its characters. The pacing of the film is steady and deliberate, showcasing a filmmaker who is not afraid to give his work room to breathe and time to grow. Smaller moments which may have been excised by lesser directors are given due emphasis and it all builds up to an expertly orchestrated, violent climax. 'The Outlaw Josey Wales' is not your typical western. Taking what he admired about the classic works of Ford and Wayne, Eastwood synthesized the genre's tried and true romantic trappings with the more raw and cynical methods of Leone, to bridge an altogether new approach. Through the story of an outlaw who lost and then rebuilds a family, Eastwood infuses a surprising sweetness into the proceedings. Thankfully though, the film wisely avoids any kind of forced sentimentality by never overtly playing up its emotions. While not as thematically or cinematically complex as some of his more recent work, the film still stands tall and is a worthy member of the director's impressive filmography. The film comes to Blu-ray courtesy of Warner Bros on a BD-50 disc housed in a thirty two page digibook case. The book includes some interesting essays on the movie and its director as well as trivia and photos. The movie is presented with a 1080p/AVC-MPEG 4 transfer in the 2.40:1 aspect ratio and for the most part, looks strong. The early Civil War montage of the film had me worried a bit, with some prevalent softness and a slightly static and unnatural grain structure. Thankfully, the video strengthens nicely soon after. The print itself is in very good shape with no real signs of age or damage. A very light layer of grain is visible throughout. Detail is good, though there is an inherent softness to the picture that seems to have been intentional. Colors are quite striking with a lush earthiness to the movie's palette, evoking a bygone era while still being wonderfully vibrant. The beautiful wilderness of the old west is showcased strongly and the landscapes pop with depth and boldness. Contrast is good and black levels are deep. On the downside, shadow detail can be a bit crushed in certain scenes. Also, characters tend to be backlit a lot which in conjunction with the shadows from their hats, can obscure detail on their faces. 'The Outlaw Josey Wales' has been given a nice and respectful transfer. Though the picture is a bit soft at times, it still has some impressive depth and gritty texture that show off its fantastic cinematography well. Presented in an English DTS-HD Master Audio 5.1 track and Dolby Digital French, Spanish, German, and Italian Mono tracks with subtitle options including English SDH, French, and Spanish, the audio has been opened up nicely from its mono roots. Dialogue is clean, giving every line of Eastwood's low, gravely delivery a nice level of depth and clarity. Surround use is strong without being obtrusive. Almost every scene has an effective layer of ambiance, sending chirping birds and crickets to the rear channels. Directionality is good all across the soundstage with imaging that is fairly natural for a remixed track. Bass is also surprisingly robust, especially during Wales's first attack on the Union Soldiers. Dynamic range is relatively wide but speech can be mixed a bit too low demonstrating an occasional habit of favoring effects over dialogue. Despite some minor mixing issues, this is a good audio track that suits the film well with both power and subtlety. Supplements are a bit slim but of surprising quality including a new Blu-ray exclusive commentary and some featurettes that actually increased my appreciation for the movie. The extras are provided in standard definition with Dolby Digital stereo sound and the same subtitle options as the main feature, unless noted otherwise. Hell Hath No Fury - The Making of The Outlaw Josey Wales (SD, 30 min) - This behind the scenes look at the movie was produced in 1999 and features interviews with Eastwood and most of the cast discussing the picture along with on-set footage. The film's journey from book to screen is touched upon going through the scripting process, casting, and locations used. The real highlight here is some great behind the scenes footage detailing the making of several scenes including the climax. Eastwood's trademark soft spoken and low key directing style is on full display and watching him work behind and in front of the camera is a real treat. Eastwood in Action (SD, 8 min) - Another behind the scenes featurette, though this one was produced during the actual making of the film. We get more footage of Eastwood at work, with some additional narration by the man himself describing his approach to certain scenes. Though not as interesting as the previous supplement, it's still worth a look. Theatrical Trailer (SD) - The original theatrical trailer is included. 'The Outlaw Josey Wales' is an entertaining and occasionally thoughtful western that plays against expectations. The video and audio are both strong, and while slim, the supplements are certainly interesting. Coupled with the nice packaging, this is a worthwhile and respectable set. Definitely recommended.